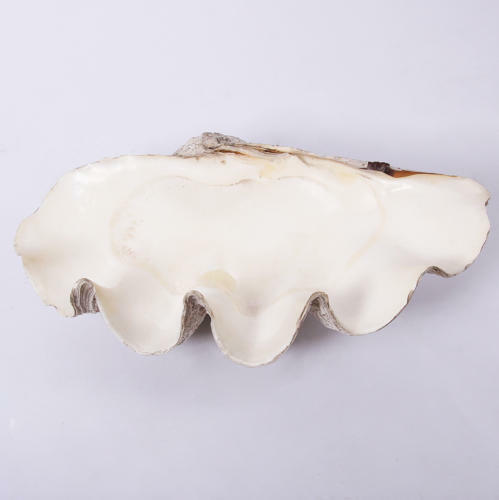 A beautiful giant clam shell (Tridacna Gigas) bought from a private collection. This shell has a striking, defined shape as well as speckled colour on the outer shell. Giant clams inhabit the oceans of the Pacific and Indian Oceans and have a lifespan of over 100 years.